American Red Cross certified instructors both within our own company and at other facilities train all the Pool Therapist lifeguards. 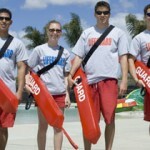 Lifeguard instructional courses include Basic Lifesaving techniques, CPR, Basic First Aid, Automatic External Defibrillator modules and routine “In-Service” Training. 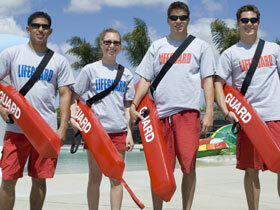 Our In-House Risk Management Program trains lifeguards to prepare in a more in-depth way to respond to emergency situations by reviewing lifeguarding skills and The Emergency Action Plan through simulated emergencies. In addition, The Pool Therapist conducts its own training once students complete and pass the American Red Cross course. This will include but not limited to water chemistry, pool operations, cleaning procedures and guarding techniques.